Exhibiting Bartram’s Boxes « John Bartram Lives! 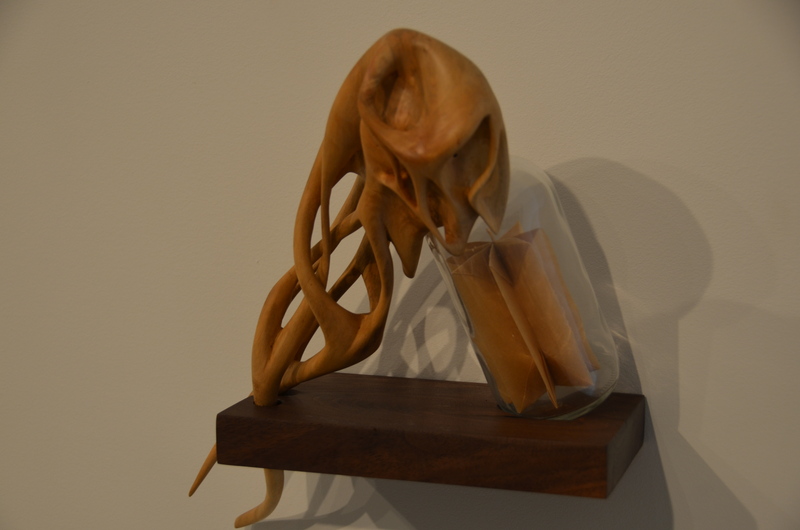 The exhibition was opened at The Center for Art and Wood in Philadelphia. It’s only taken 250 plus years. And then only after a devastating storm, to begin the process of regeneration and renewal. I viewed it as a fortuitous and timely sequence of events. 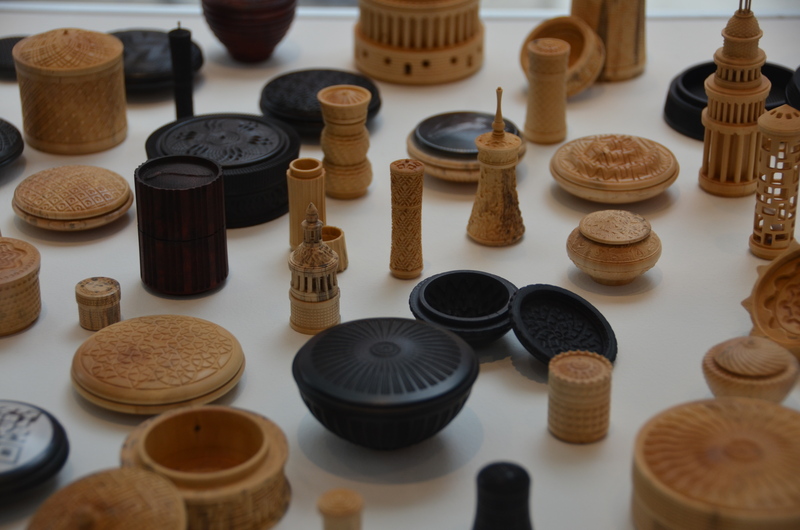 One artist’s vision included many small and intricate wooden receptacles. Like the seeds of my many shipments! 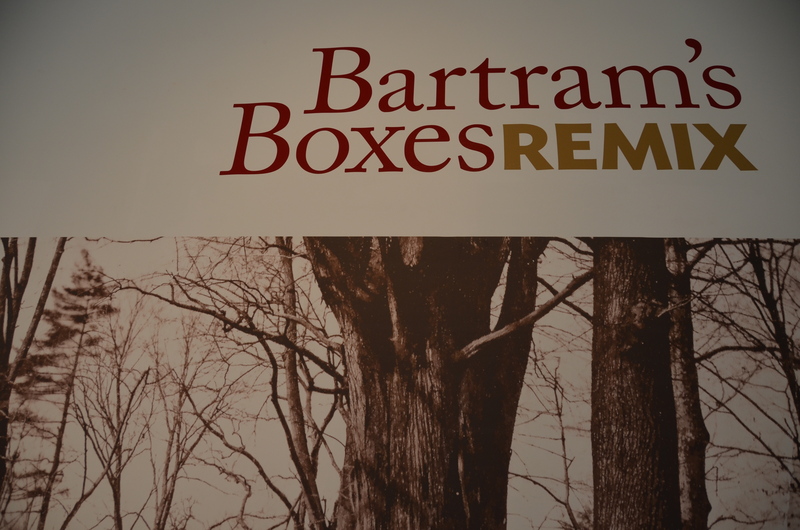 The Exhibit was entitled Bartram’s Boxes Remix! 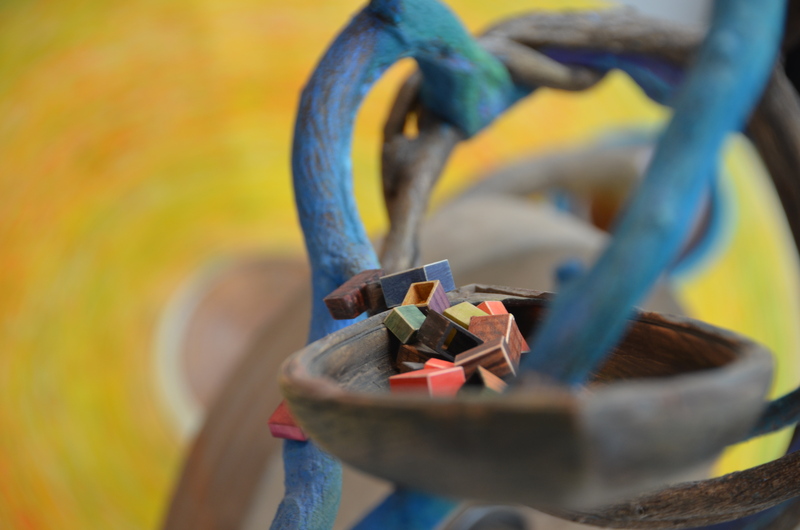 This small wooden ship was set into the midst of a turbulent sea. Like my precious packages leaving the new world for the old. My work on the introduction and cataloguing of new North American species of plants is celebrated in this unique exhibition. Artists from around the world were solicited for proposals that would use material collected from devastation wrought in my garden by a severe weather event. Could have been the title of this brilliant exhibit. Roots, like time, can be in a bottle. Cast to the winds and the currents. These proposals and the juried exhibition that followed were the results of that solicitation. The exhibit was brilliant. 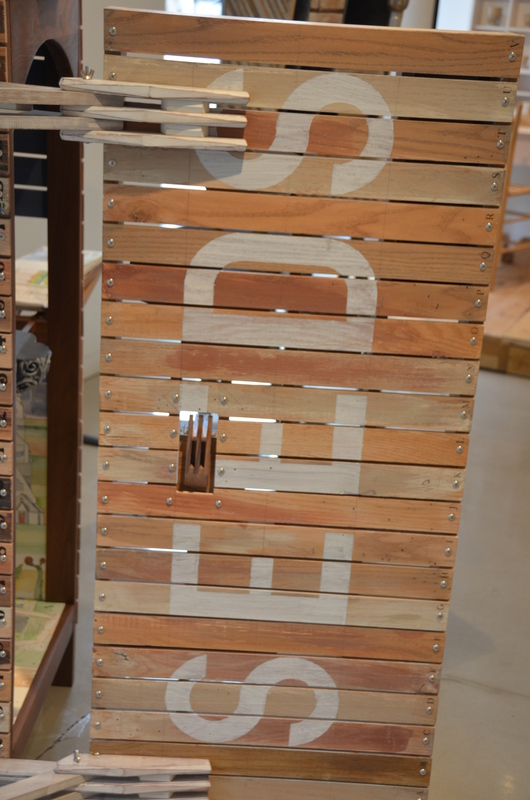 The Center for Art in Wood is the organization responsible for this outstanding display. Its headquarters is just around the corner from Betsy Ross and her exhibit based on the introduction of the colors and construction of the American Flag. They are both worth your interest and time.